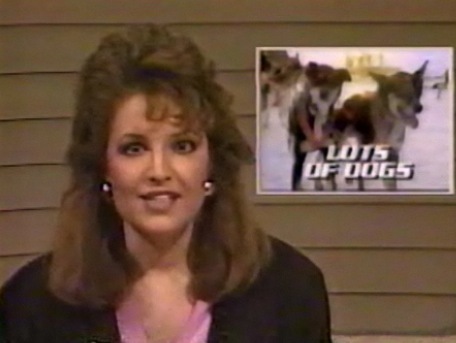 In that video, from her days reporting for an Anchorage TV station, she’s clearly not Major Market. But you can see how her persona today is a combination of aw-shucks-doggone-it hockey mom, smart political operator and TV personality. And the latter cannot be discounted. I don’t think that being a reporter qualifies you to be interviewed by a reporter. That would be like saying that being able to shoot qualifies you to be shot. Oooh, it’s like Nicole Kidman in To Die For, in which, now I come to think of it, she is very much like a pitbull with lipstick! But it does train you to play to the camera and make yourself look the best infront of the nation. I agree with Doc that you cannot discount the appeal of personality in Main Street USA. Russ, I see you’re talking about another kind of media training. Point taken. I also think that Palin is more at ease with cameras — and using them to reach past intermediators and talk directly with ordinary folks — than anybody we’ve seen in a long time. Certainly more than Biden, McCain, and even Obama, all of which are to some degree mannered and uncomfortable.